The Wellington Mk II was a hedge by the British against possible Pegasus radial engine supply problems. As such, Mk II Wellingtons were fitted with Merlin X engines in a redesigned cowling. Although giving up some range, the Mk IIs showed an increase in speed and bomb load over their radial brethren. 401 Wellington Mk II were built starting in 1939. Alley Cat’s conversion consists of twelve grey resin components including two direct kit replacement full engine cowlings, spinners, propeller blades, lower turret plate, nose turret cover, two clear resin waist windows and decals for five aircraft options. The kit also includes a one page instruction sheet. Ever since the release of the 1/48 scale Trumpeter Wellington I have wanted a Wellington Mk II on my shelf. Interestingly, about the time that Trumpeter released their 1/48 scale Wellington we got a mainstream offering from Special Hobby of a Mk II in 1/72; but, no joy in 1/48. However, I recently heard about a ‘new’ company out of the UK called Alley Cat with a resin conversion for the Trumpeter Wimpy. Might be that donkeys can fly! 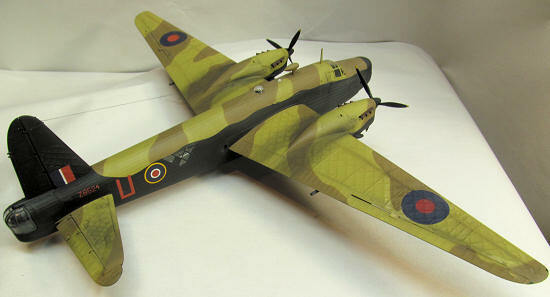 Alley Cat states in their instructions that the Wellington Mk II C conversion is a direct replacement for the Trumpeter kit parts. Definitely a selling point, as any conversion that creates a unique mark without a lot of fuss is welcome. Unfortunately, in practice only some of the parts fit well making a sizable amount of extra work to achieve a finished product. Overall the resin parts supplied by Alley Cat are well cast with no warpage or pin holes. The panel lines are also well done and match the Trumpeter effect well. Sadly, the resin engines provided in my kit were somewhat smaller than the opening they were intended to mount into on the Trumpeter kit. I don’t know if this is a common problem with all of the Alley Cat conversions or just shrinkage with mine. In any case, the fit was horrible with one engine showing nearly a ¼ inch step/gap. Hmmm, shades of that CMK Beaufighter Mk II conversion that is still haunting me from the shelf of doom possibly? In the end, not really a big ordeal, just time consuming. I matched the lines at the top of the replacement engines to the top of the Trumpeter nacelles. Take care here with the Trumpeter parts P16 that they are correctly placed and fully cured before installing the Alley Cat resin engines. 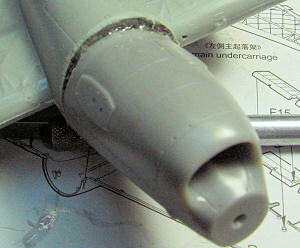 Once convinced that my engines were securely mounted I began trying to fill the gap/step at the bottom with CA glue. Eventually, I just gave in and broke out my automotive filler (bondo) and filled the gaps and sanded to shape with 80 grit sand paper. 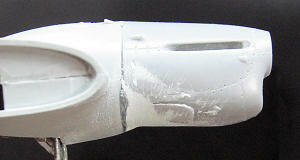 Unfortunately because of the limitations of creating a drop fit conversion engine replacement, Alley Cat has not quite gotten the complex shape of the Mk II’s lower cowling correct; a shape issue whereby the resin engine cowling is stepped up too sharply to the existing Trumpeter nacelle (or would have had they fit). In any case, I was able to reshape this area for a better look with judicious filler, sanding and primer. Once in a final primer I rescribed all of the lost panel lines, remade the lost intake mounting plates from 10 thousand card stock and began focusing on the fuselage changes that were needed. Alley Cat states that the conversion is best used with the Trumpeter Mk IC kit. However, for the Z8524 aircraft I wanted to model, I feel that a Mk III kit would have been a better choice as it appears from images of the aircraft that Z8524 is a late model fuselage-without any of the numerous fuselage windows found on the Mk IC, except the waist gun windows. In any case, Alley Cat does provide nice clear resin waist gun windows to install into the Mk IC fuselage. 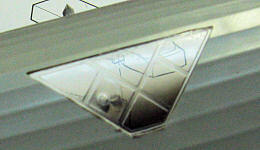 What Alley Cat does not provide are any indications of WHERE the windows should be placed-no measurements or advice whatsoever. 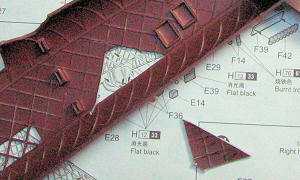 Being slightly frustrated over this omission, I pulled up an online copy of the Trumpeter Mk III instructions, and guestamated from their drawing a placement based on the geodesic pattern of the Wellingtons construction. This is an informational short coming on Alley Cats part that I find unacceptable, as all of their supplied decal options require this window modification and they specify the Trumpeter kit without the waist windows. It was slightly stressful making those first cuts into the flank of the beast, but with care and patience I achieved an excellent fit using both an Olfa P cutter and Xacto #11 blades. 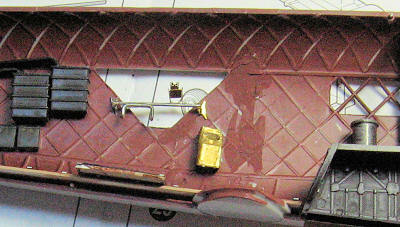 Additionally, Alley Cat does not provide any of the interior parts that are unique to Wellingtons with waist windows-although the parts can be found in the Trumpeter Mk III kit. Through the kindness of a HyperScale reader I was able to borrow a copy of the now rare 4+ text on the Vickers Wellington that provided the necessary images for me to scratch build the machine gun mounts and ammunition bins for the Mk II waist windows. Once finished with the kit interior I mounted everything to the left fuselage side and proceeded to install the provided resin lower turret plug and scratch build the necessary rear fuselage walkway. Both the lower turret plug and the nose turret plug fit perfectly. The Wellington nose turret requires a fairing on top that cover some necessary mounting bits, which on any model using the resin turret plug must be carefully removed. The resulting gaps I filled with a guestamated small plasticard panel. At this point construction followed the Trumpeter instruction and I must say that I was pleasantly surprised at how well the kit fit and how quickly it went together given the astounding parts count. 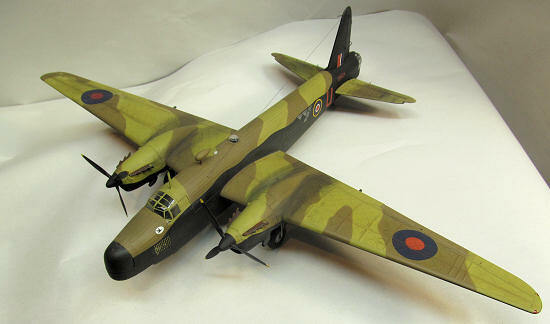 I had planned from the start to model red U of 104 squadron. I used Model Master Enamels for the Middle Stone and Dark Earth camouflage on the top surfaces and Floquil Engine Black for the bottom surface. The colors were sprayed with an Iwata HP-TR1 with all colors reduced 50% with Testors Universal thinner. The camouflage demarcation was achieved using Silly Putty, and lightened color was used to highlight and show fading from exposure on all topside surfaces. The decals provided by Alley Cat were used exclusively over Testors clear lacquer Glosscoat and worked exceptionally well; although they did tend to stick fiercely, requiring careful placement. A final application of Testors Dullcoat and some weathering with pastels completed the build. Although marketed as a no fuss conversion, the Alley Cat Mk II kit that I received required more than beginner modeling skills. That said, the resin is exceptionally well cast, and although there were fit issues, they were not terminal. Recommended.